Expressive aromas of spicy lees and lemon curd open to complex and voluptuous baked pear, nutmeg and toast flavors that linger on the finish. Drink now through 2019. 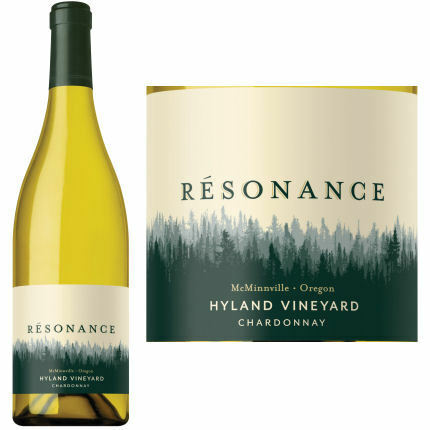 The first Chardonnay produced by Resonance. 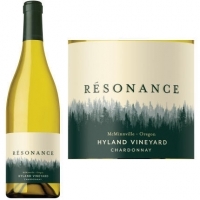 Sourced from one of the most famed and noteworthy vineyards in all of Oregon, the Hyland Vineyard, beautifully blends classic Oregon styled Chardonnay with traditional Burgundian winemaking techniques in a seamless wine that wows upon immediate release and after aging. White fleshed fruit and light hazelnuts aromas pop at first followed by subtle flavors of white pepper, fruit and wood. The finish is long and elegant.